1. Commit to cover, after graduation either the cost of the first year of his/her master’s degree. In this case, the IsDB will support him/her by covering the costs to complete his/her master’s degree or the tuition fees of the first year’s study for a ew Undergraduate student from the same community he/she belongs to. 2. Sign a Surety Bond stating their commitment to their studies, their return to their countries upon completion of their studies and continuing work and services to “Sustainability Science, Technology and Innovation” in their countries. 3. 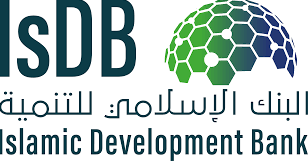 Devote themselves to their studies on a full-time basis and without interruption and provide the IsDB with reports on their academic studies and activities on a regular basis. 4. Seek or accept no other scholarship or remunerated work during their studies under the Programme which may interfere with their studies or make fulfillment of their other obligations difficult unless otherwise agreed to in writing by the IsDB,Respect the laws of the country of study and maintain good personal and professional conduct consistent with the rules, regulations and objectives of the Programme and the overall mission of the IsDB. 2. For the students who are selected to study outside of their own countries, the IsDB also provides them with economic class tickets to and from the countries of study (once at the beginning and at the end of study). 3. To help students prepare themselves for their future leading role in the development of their communities and countries. • Be a citizen of any of an IsDB member countries or Muslim communities in non-member countries. • Be a graduate with a grade above “Good” in his/her academic career. • Be nominated by an academic research institution in the home country. • Not in receipt of another scholarship. 1. The programme covers full tuition fees to be paid directly to the university, living allowance on single-status basis, health insurance, computer allowance, etc. and round-trip air-ticket and installation allowance for study abroad. 2. To help students prepare themselves for their future leading role in the development of their communities and countries. 1. Have minimum M.Sc (for Ph.D study) and Ph.D (for Post-Doctoral research) in the field of sustainable science listed under the Programme. 2. Have above average (“Very Good”) academic standing. 3. Have work and/or research experience of not less than two (2) years (for Post-Doctoral research) in the related field. 4. Have a record of publications/research in the same field. 5. Have a proposed field of study and/or research in one of the fields listed under the approved fields of study with its scientific and development relevance to the country being clearly demonstrated in a research proposal. 6. Not in receipt of another scholarship. 1. The programme covers full tuition fees to be paid directly to the university, living allowance on single status basis, health insurance, computer allowance, conference allowance etc. and round-trip air-ticket and installation allowance for scholar studying abroad. 2. To help students/scholars prepare themselves for their future leading role in the development of their communities and countries. • The Grants will fund joint projects to bring together complementary expertise that will tackle complex global challenges that often require an interdisciplinary approach. • One joint project will be selected. The project will see two research groups from different IDB countries. The research question will likely focus on an issue relevant to both countries involved. Grants will be assigned on a competitive basis to those projects which actually produce a major and real-time impact. • It aims to support refugee scientists and other scientists at risk in IsDB member countries that are being affected by civil strife or war. • Efforts will be made to support them at universities and research centres in other IsDB member countries, but also in other countries.